Hello, my name is Aileen, I am in the 11th grade at V. Sue Cleveland High School in Rio Rancho, New Mexico. I am active member of the Evolvement New Mexico Leadership Team. Evolvement is a youth engagement movement working on making a healthier New Mexico. 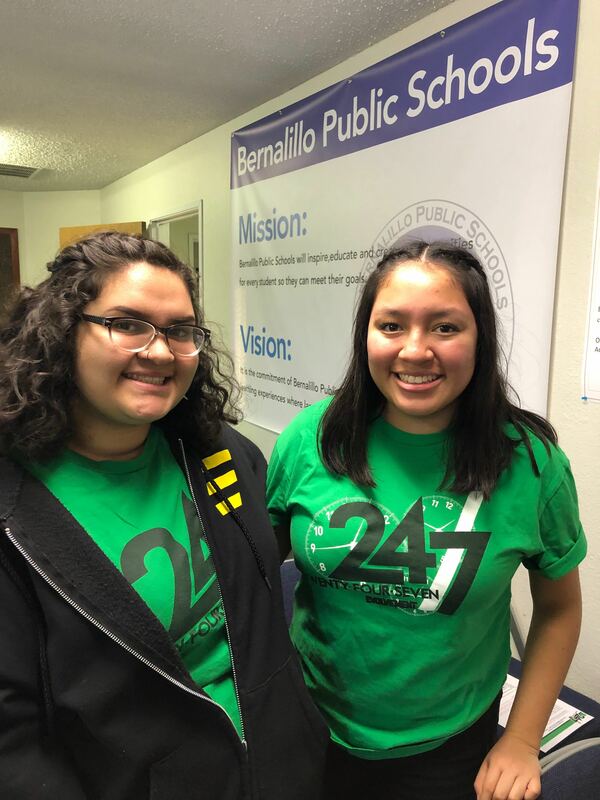 This is my second year working with the 24/7 NM campaign, helping schools have a truly comprehensive tobacco- free policy. With Evolvement and the 24/7 NM campaign I have presented at several school board meetings attempting to improve their tobacco-free policies. In February, Bernalillo Public School District adopted a 100% comprehensive tobacco-free policy. At the beginning I felt a bit nervous about presenting but felt that Bernalillo would see how having this new comprehensive tobacco free policy is helping students in the entire school district by, giving them a safe and healthy environment to learn and better their future. Passing this policy at a district-level is important because every school in the district will be covered with this policy. There are great resources that will be given to each school for example, our free bilingual tobacco-free signs, and a 24/7 toolkit with great supplies. These resources give clear detail about the policy being tobacco-free twenty-four hours a day, seven days a week. Presenting this policy means a lot to me because being part of the youth I see how tobacco affects my classmates. When the youth sees that something like tobacco is acceptable they start thinking that using tobacco products is cool and fine to do. I feel that this policy will make a big difference and save future generations. I am excited for the positive outcome we have seen from Bernalillo schools. I am proud from the experience I have had with Evolvement and am hopeful for other districts to adopt a 100% comprehensive tobacco-free policy.